Prescription contacts combine the eyesight improvement of glasses while providing unique benefits only contacts can offer. Get your new prescription contacts in the Topsfield, MA area at Parrelli Optical. 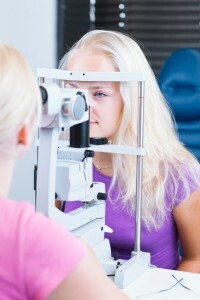 There are many options available when it comes to eyesight correction. While glasses are the traditional choice for improving eyesight, prescription contacts can offer a wide range of benefits for many people. Contacts provide eyesight correction that is as close as possible to providing a natural line of sight without requiring surgery. It is easier to transport contacts in a purse or bag because they take up little room. Athletes are often required to wear contacts if they need an improvement in eyesight because they are safer to wear during a game than glasses. Contacts are not as fragile as glasses, and wearing contacts allows a person to wear goggles or other protective eyewear without compromising vision correction. Prescription contacts do not fog up when they are being worn. People who may sweat during physical activity or who are exposed to extreme temperature changes do not have to worry about being unable to see because of the fog caused by humidity or steam. People who are thinking about opting for contacts over glasses often worry about the lack of protection from sunlight. There are contact lenses that offer UV protection to keep the sun’s rays from causing damage to the eye. The reason that many people give for choosing prescription contacts is the aesthetic advantage. Contacts allow wearers to look like themselves for special occasions and every day. Parrelli Optical is the right choice for all of your vision care needs. There are many reasons to choose our office. Contact Parrelli Optical for more information about exams and prescription contacts in Topsfield, MA.